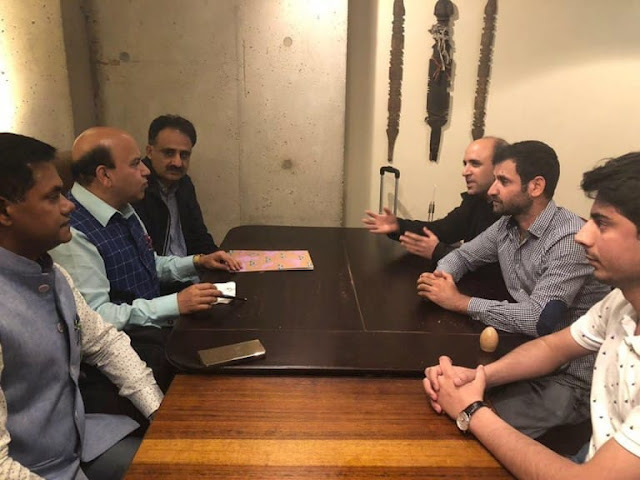 LONDON: A senior leader of India’s ruling party BJP has held a meeting with a delegation of Free Balochistan Movement (FBM) in London to discuss Balochistan issue on Saturday. Mr. Vijay Jolly, an ex MLA, and Ex. Convenor of Foreign Cell of BJP and the delegation of the Free Balochistan Movement exchanged views about Balochistan situation, Baloch freedom struggle and India’s moral support to Baloch struggle. In their two-hour meeting, FBM activists and BJP leader also discussed Pakistan’s interference in Kashmir, China-Pakistan nexus and its negative effects on the region. Mr. Jolly said that Balochistan is our neighbour and it is India’s responsibility to raise voice for the Baloch nation. The BJP leader desired that the leader of Free Balochistan Movement, Hyrbyair Marri, should visit India. He also expressed his willingness to continue such meetings and contacts in future.